Sun., Nov. 4, 2018, 8:45 a.m.
FALFURRIAS, Texas – Gun-carrying civilian groups and border vigilantes have heard a call to arms in President Donald Trump’s warnings about threats to American security posed by caravans of Central American migrants moving through Mexico. They’re packing coolers and tents, oiling rifles and tuning up aerial drones, with plans to form caravans of their own and trail American troops to the border. And yet, the prospect of armed vigilantes showing up beside thousands of U.S. troops – along with Border Patrol agents, police officers and migrants – is considered serious enough that miliary planners have issued warnings to Army commanders. Manuel Padilla Jr., the top Border Patrol official in the agency’s Rio Grande Valley sector, the nation’s busiest for illegal crossings, said he has not issued any instructions to agents in the field or to landowners whose properties are adjacent to the river. But he plans to meet with community members next week, he said, to address their concerns. “People on the Rio Grande have been calling us,” Vickers said. His group is in a “holding pattern,” he said, adding, “We can have 100 volunteers in a hot area in four to eight hours. But the heir to the state’s largest and most influential ranch disagrees. 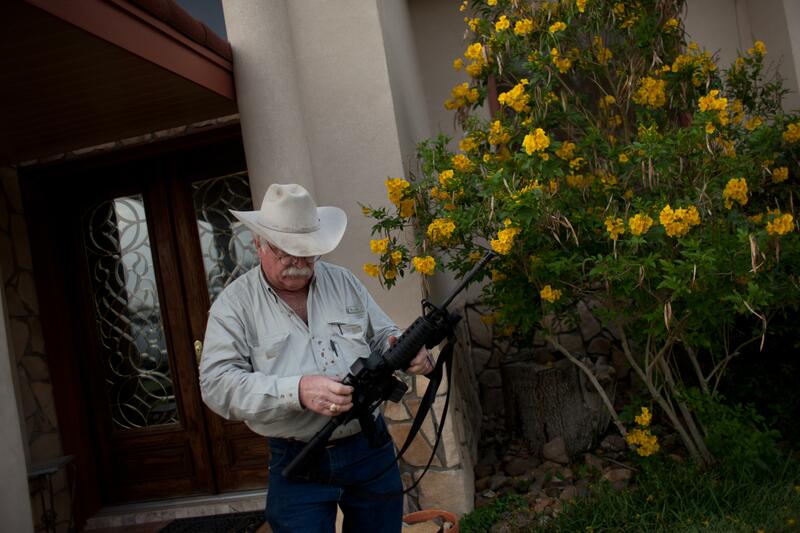 Stephen ”Tio“ Kleberg, who has lived most of his life on the 825,000-acre King Ranch outside of Kingsville, said that he will allow militia groups on his ranch, which is larger than the state of Rhode Island. “I think if the caravan members get across the river, they need to be caught and sent back,” said Kleberg, who wears a bushy handlebar mustache and chews an unlit cigar. Published: Nov. 4, 2018, 8:45 a.m.